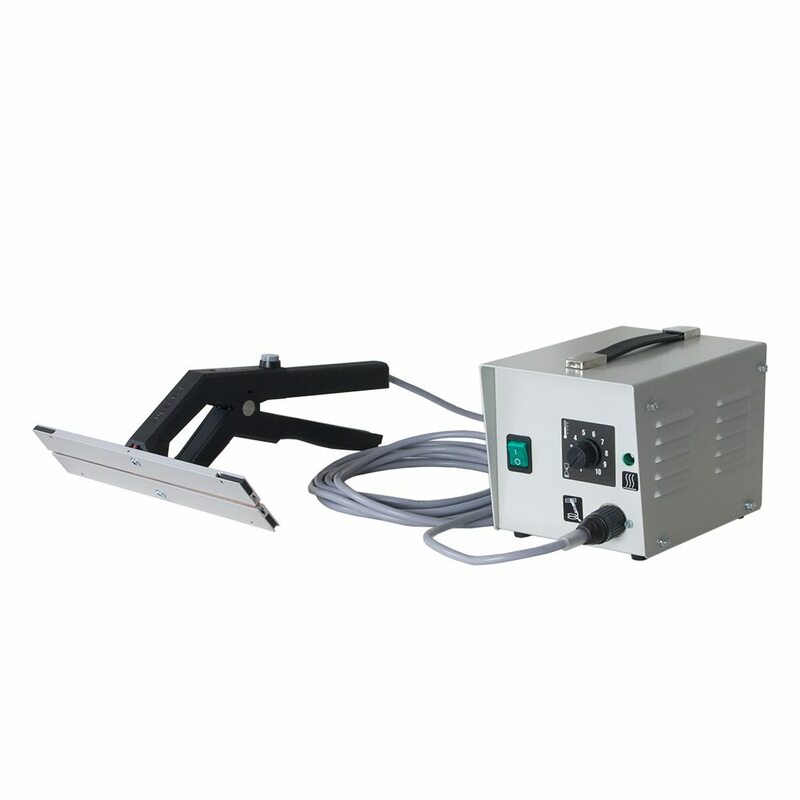 Due to it’s portable character, this machine is particularly suitable for sealing all kinds of strange and difficult shaped products. The bi-active seal bars (both upper and lower seal bar are equipped with a resistance wire) allows the sealing of thick polyethylene up to 2 x 0,3 mm. Furthermore it will be possible to seal most of the laminate films, a simple test will tell you if the machine will be adequate for your film or not. The machine needs to be connected to a transformer, where the seal time can be set accordingly to the film you are using. Once the jaws are closed the button is pressed and the seal will start, indicated by a control light. After the sealing time has passed (max. 1-3 sec.) the sealing will stop automatically and you can open the tongs.